You know the feeling. You’re driving on a remote highway with a high speed limit and two 18-wheelers are ahead of you side by side going far below the speed limit and keeping you from passing. Feeling impatient, you become frustrated and, while muttering obscenities under your breath, you start creeping up on the safe passing truck looking for an opportunity to move into the oncoming lane of traffic briefly so you can pass. Before you make an abrupt or rash decision or curse all truckers and their posterity, let’s take a minute to examine the question that, understandably, you and many others are probably asking. Why do truckers sometimes drive side by side on the highway for longer than necessary to pass? Driving behind a slow truck can be incredibly frustrating, especially when you’re in a hurry to get to your destination and you are forced to drive much slower than the speed limit. Though it can often seem like truckers are simply on a mission to make your life miserable, actually, quite the opposite is true. In fact, truckers have strict rules and regulations to which they must adhere precisely so that they can be safer for the cars around them. Most trucks have regulations placed on them that prohibit them from ever going over a certain speed. Truck drivers who violate the regulations will face stiff penalties and potentially lose their job, so very few drivers deliberately break them. While it can vary slightly by state and trucking company, truckers are typically required to go no more than about 65 mph. This means that even though a posted speed limit sign may say 80, truck drivers are still required to adhere to their company’s own lower maximum speed restrictions. So, why do trucks take longer to pass other trucks? Because they can’t go over a certain speed, even to pass. Since a passing truck can typically, by law, only go about two or three miles per hour faster than the other truck (since its maximum speed allowance is so low), it will logically take it a lot longer to pass. If a truck is only going one to three miles per hour faster than another, in order to ensure safe passing and get back into the lane with a safe distance, it takes about two minutes and twelve seconds or 3.7 percent of a mile. 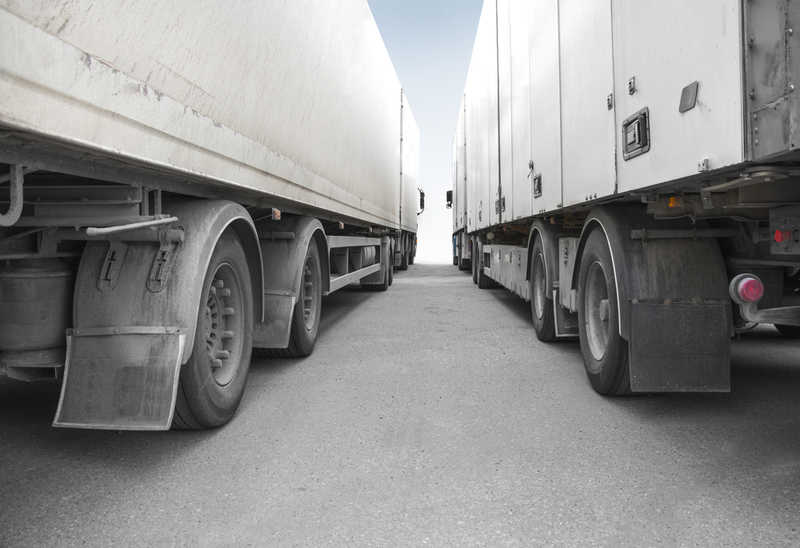 While it can be frustrating to drivers behind them, most truckers are simply abiding by the strict rules and regulations that have been placed on them. What else should you know about trucks and safe passing? •To reiterate, trucks are bigger and are required to drive slower, so when it comes to one truck passing another, safe passing takes much longer. •As a smaller vehicle, passing a truck without allowing for safe driving distance is incredibly dangerous because trucks take much longer to slow down and are even taught not to do so abruptly in order to avoid causing additional accidents. •In many states, it is illegal to pass a truck on the right. Not only is it often against the law, it’s simply not a good idea. •Truckers generally do what they do because they have your safety in mind. They aren’t just trying to make you mad. •Weather can greatly affect the speed of trucks because of their sheer size. Staying safe on the road is all about remaining calm and not letting situations outside of your control get the best of you. Part of driving defensively is not letting the actions of others affect your emotions negatively. Defensive driving courses can help you become a safer and more poised driver. For defensive driving courses in Austin, or to erase a ticket, look no further than DefensiveDriving.com.